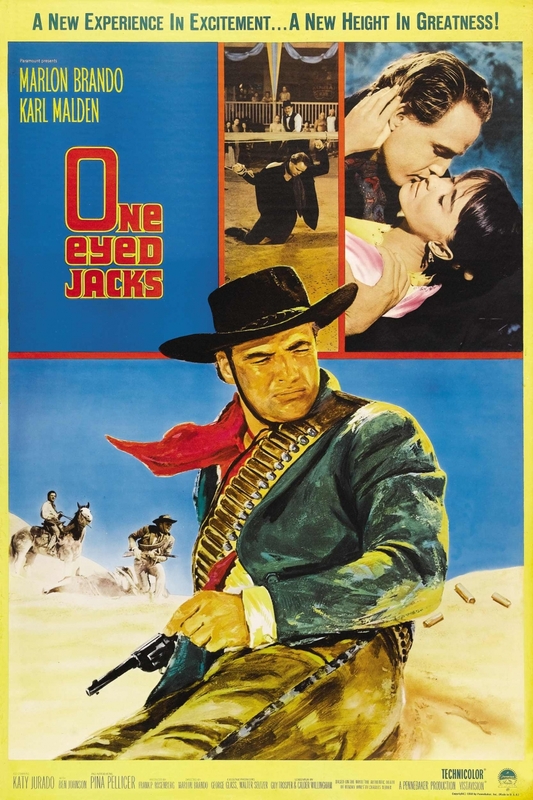 One-Eyed Jacks – Did You See That One? Rio (Brando) and Dad Longworth (Malden) have been running from the Mexican military after their recent bank robbery. When the two are forced to split up, Longworth takes their money and runs, leaving Rio to pay the price. 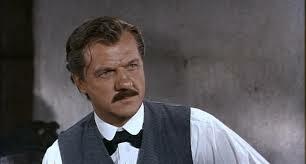 After serving five years in a Mexican prison Rio escapes and seeks out his old partner. Soon, with the help of a new accomplice, Rio discovers that Dad Longworth is now living a life of respectability as the sheriff of a small town. Now Rio is faced with his chance for revenge, but also with the unexpected love he’s found with Longworth’s step-daughter Louisa. As their love grows, so does the tension between the old friends. This movie marks the one time Marlon Brando (The Men) stepped behind the camera as a director. The movie was supposed to be directed by Stanley Kubrick (Barry Lyndon), using a Sam Peckinpah (The Wild Bunch) screenplay, but negotiations fell through. This left the work to Brando who took on a screenplay by Guy Trosper (The Stratton Story) and Calder Willingham (Paths of Glory). The story came from the novel The Authentic Death of Hendry Jones which was written by Charles Neider. 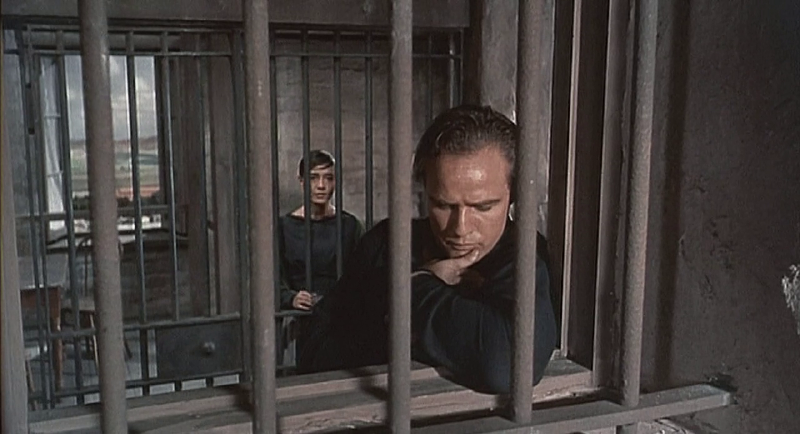 Including his work behind the camera, Marlon Brando also took on a starring role in this one. The cast also features Karl Malden (A Streetcar Named Desire), Katy Jurado (High Noon), Ben Johnson (The Last Picture Show), and Slim Pickens (Blazing Saddles). This story is a strange mix of stereotypical Western drama and deep psychological tension. The writing builds tension from early in the film and doesn’t let up very often. The brief interludes in this drama come in the form of romance that almost seems cheesy when placed up against the rest of the film. The dialogue is good, but nothing spectacular. Thankfully, the actors had the skill to keep the story moving with a lot of energy. There is also a unique approach taken to the two main characters in this film. Despite the criminal nature each of them possesses, there is a push for the audience to relate to them. This undercurrent is a welcome addition that adds to the intensity of the story. Overall this is a good screenplay that delivers a decent ending. The visuals in this movie are wonderfully done. The cinematography took full advantage of the excellent natural landscapes and well-designed sets. Every shot seems planned out and deliberate. Fortunately this didn’t hurt any of the tension or drama in the film. I also think the visuals and editing are almost predictable at times. This might have been due to the inexperience of Brando when it came to directing. Either way, the visual aspects of this film bring a wonderful feel to the movie. This isn’t a typical Western in any way. 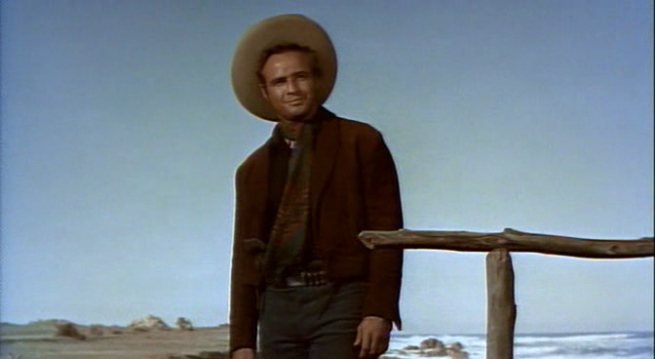 The underlying tension in the film is powerful and sometimes pushes this beyond any drama normally found in a Western. If you’re a fan of Westerns or the stars of this one, take the time to see it. I would also recommend it to anyone who likes a good revenge film or an intense emotional drama. I give this one 4 out of 5 stars. I can’t wait to see this, its waiting on myself with a lot of others, great review. Thanks for reading this one! It’s a very unique film that somehow captures a lot of the angst that Brandi brought to his film rules throughout his entire career. A the director he seemed to inject the whole film with a unique vibe.